All peoples went to the afterlife of their ancestors. Whether this was less enjoyable that the present life [Sheol], more enjoyable [the west] or somewhere in between depended on their respective mythologies and beliefs. Now, judgment infers one of two possible scenarios. The accused will be found either innocent or guilty. With innocence comes freedom and with guilt, punishment. These are the basic legal ideas and are unavoidable in this discussion. According to some people, with Christ as our advocate [our defender] the defendant will always be set free because the defendant believes Christ. As a theological precept, I have no comment on this. However, with the law in mind, I will discuss the issues as I understand them. 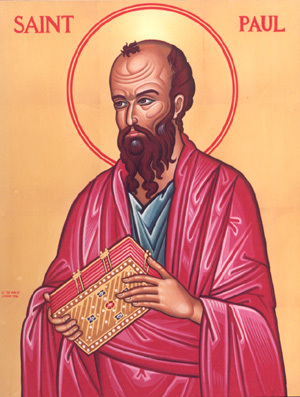 Saint Paul was knowledgeable, cosmopolitan, well read and wrote many letters to the new churches he founded. Therefore, he could not have been ignorant of the consequences of what he, himself, was advocating. We will look at this in detail. Keeping in mind that Satan is the Hebrew word for “Accuser” and our advocate has advised the defendant to remain silent [as a good lawyer would advise]. Satan does not have to prove any of these accusations because all parties [Satan, Jehovah, Jesus Christ and the defendant] know them to be true. At this point, since all parties know the facts of the case, Jesus has nothing more to do. There is no legal maneuvering or motions He can make as in modern courts. Following this silence, the accused is allowed to speak on his behalf. Needless to say, that three of the four present [in a modern court] will be having a good laugh, because the fourth, no matter what how much faith he has in his lawyer, will be found guilty of the charges and punished accordingly. What this punishment might be in the celestial court, no one can say. Another legal concept is that the punishment must fit the crime. Satan does not have to prove any of these accusations because all parties [Jehovah, Jesus Christ and the defendant] know them to be true. Since Saint Paul possessed a highly critical intellect, I am certain he was aware of this deficiency of his theology. Yet, he continued preaching with allegories and allusions to debtors, judgment, the final judgment, powers, faith, freedom in Christ, mysteries, dominions, “my gospel, “my suffering’, being under the law and violating the law. Unfortunately, he did not teach clearly and unambiguously. Saint Paul could have stated, “The Jewish does no good neither does it do evil. Have faith in Jesus Christ and the greatest commandment is love one another. Love is the law, love under the law.” but he did not. A good politician would ignore, and therefore marginalize his opponent [the law] and pound away at his one overriding message [love], but Saint Paul did not do this either. He created a theology that is neither simple nor understandable, but one that is frustrated by seeming inconstancies and confusion at every turn. Ideas that are expressly stated are silently contracted. Inexact repetitions and technical jargon abound. Why? Although Saint Paul states that circumcision is not necessary for the new faith, he knows that his type of preaching is sowing confusion (how could he not?) and people will turn to the Law for guidance. In effect he is stating that circumcision and the dietary laws no longer apply, but some of laws do apply and some do not apply. He, alone, decides which of the 613 laws apply to his new church and those that do not apply. Since Saint Paul’s followers are observing some of the Jewish laws and violating others, they will, as a principle of law, be under the jurisdiction of the entire law and be judged accordingly. Based on legal precedent and common sense, we can clearly state that followers of Saint Paul will find themselves in the first scenario described above, subject to Jehovah and his law and punished for violating it.